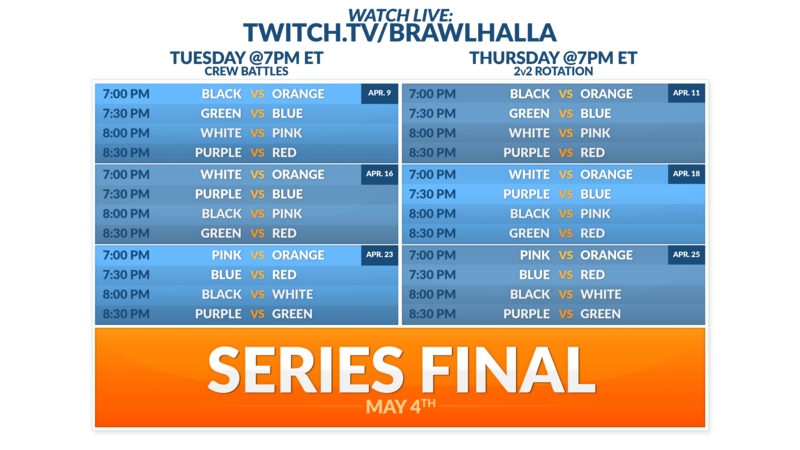 The Brawlhalla Pro Series is 3 weeks of alternating crew battles and 2v2 rotations culminating to the Pro Series Final! Teams were created by going down the list of power rankings and allowing each player from the top down the option of gathering a team one at a time. These teams will play one match on Tuesdays and Thursdays at 7pm Eastern Standard Time. On Tuesdays, they will fight in crew battles, and on Thursdays, the same matchups occur, but this time in a 2v2 rotation. 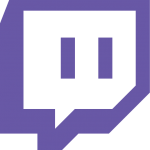 This will continue for 3 weeks until the day of the Pro Series Final! The top teams from each group will go head to head in a heated best of 3 events. They’ll slug it out in a crew battle followed by a full 2v2 rotation match. If required, the tiebreaker will be a 3v3 best of five match, where all the members of each team have to battle, and the winners take all! If a tiebreaker ensues, it’ll be the first official 3v3 match ever seen, where six of the top players will be fighting it out for victory at the same time! 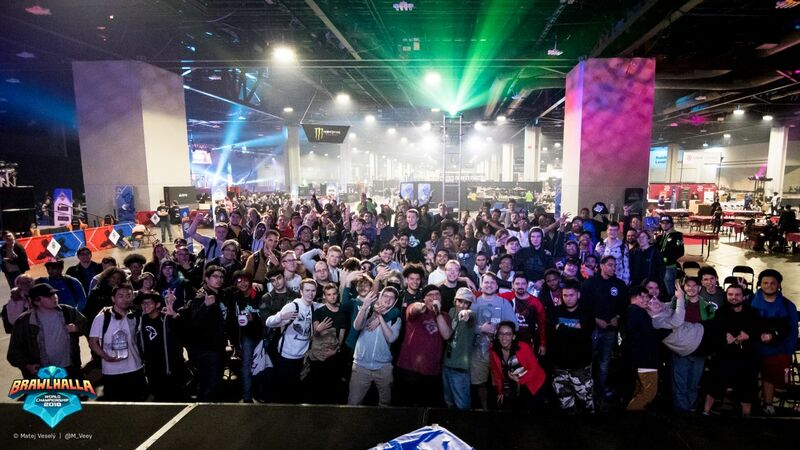 The teams are competing for over $18,000 in prizes! 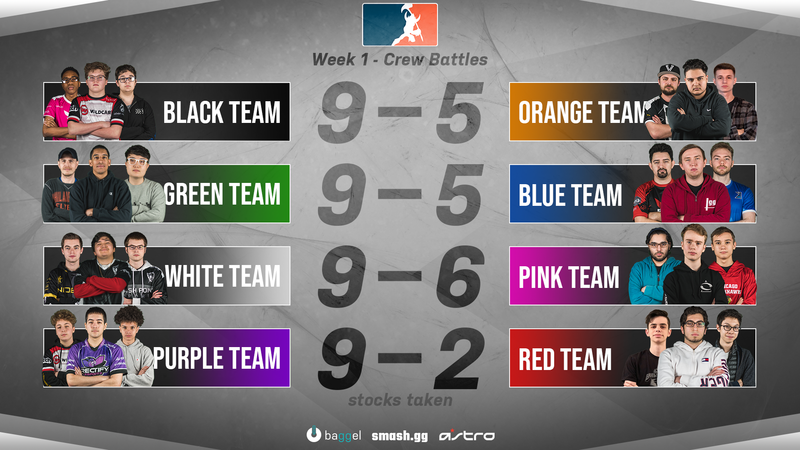 3 weeks of alternating crew battles and 2v2 rotations leading up to a final event between the top team of each group, the Pro Series Final. There are 8 Teams of 3 players each are split into two groups and seeded by their combined team PR, similar to the seeding of a standard double elimination bracket. 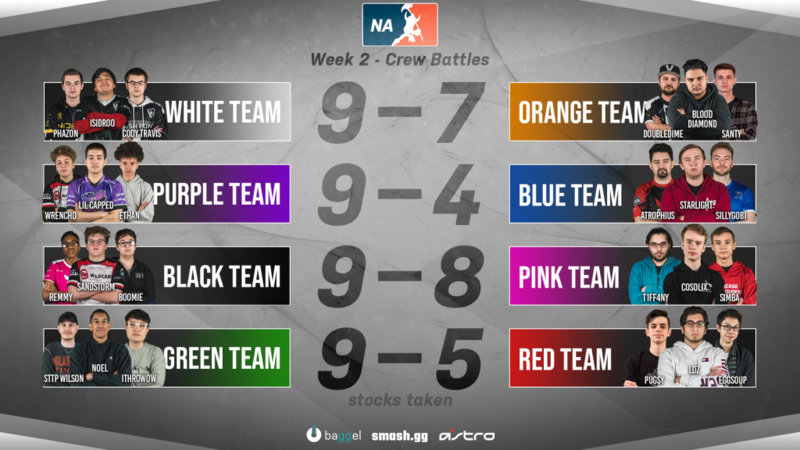 What is a crew battle? A crew battle is a “relay race” of 1v1 battles where the winner goes on to fight the next member of the opposing team but only retains the leftover stocks from the previous fight, until one team is knocked out. What is a 2v2 rotation? A 2v2 rotation is a best of 3 set where a unique combination of players on each team competes each game. For example, if a team of players, A B and C are playing, they can send in A and B to fight game 1. But for game 2, they must have either A and C play or B and C play. The same rule applies for game 3, as well as the opposing team. How is the final done and is there anything special about the 3v3 tiebreaker? The top team from each group will go head to head in an extended version of regular season matches. They’ll slug it out in a best-of-3 crew battle followed a best-of-3 series of 2v2 rotation sets. If required, the tiebreaker will be a best-of-5 3v3 match, where all the members of each team have to battle simultaneously and the winners take all! This would be the first official 3v3 match ever seen, where six of the top players will be fighting it out for victory at the same time!